Johannesburg is probably South Africa’s most vibrant metropolis; it serves as the capital to the wealthiest province in the country, Gauteng. It is also fondly referred to as “Egoli” or “Jozi”. As well as being the economic hub of the country, it also boasts a wide variety of Johannesburg real estate investment opportunities. From the bright lights and the skyscrapers of the city’s CBD to the tranquil tree-lined suburban streets, the city offers property to suit divergent needs and preferences. With its plethora of attractions including casinos, museums, zoos, nature reserves and water parks, this bustling metropolis offers entertainment and recreation for everyone. The city came into being after the discovery of one of the richest gold-bearing reefs in the world. To this day mining remains the city’s biggest industry, however, other sectors have stepped forward and contributed too. Many local and international companies have branches and head offices that call the city home. With so many employment opportunities, and indeed real estate opportunities, it is little wonder Johannesburg has the highest population of all the metropolitan hubs in the country. 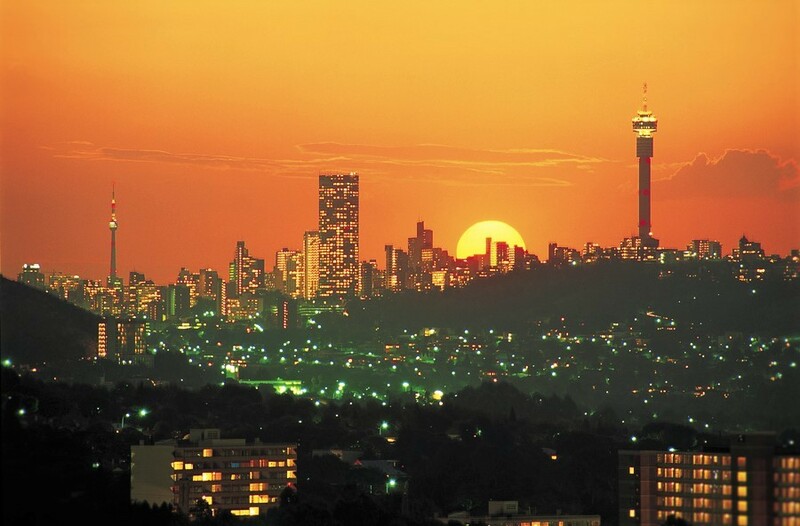 Johannesburg property is commonly divided into Johannesburg Northern Suburbs, Johannesburg South and Johannesburg CBD. However, one can also consider properties in Johannesburg suburbs closer to the west, in West Rand (Roodepoort and Krugersdorp), and those on the east, in the East Rand. The Northern Suburbs are the jewels in the Johannesburg real estate crown, playing host to high-end suburbs such as Sandton, Sunninghill, Morningside and Bryanston. These areas are home to some of the most luxurious and extravagant properties in the country. Ranging from stand-alone homes to luxury apartments, the Johannesburg Northern Suburbs property market cater for exclusivity and privacy. Also contained in the area are two of Johannesburg real estate’s most well-known residential estates –Dainfern Golf Estate and Fernbrook Estate. All of these areas offer fantastic investment opportunities and are home to most of Johannesburg’s upper income residents. Attractions in the Northern Suburbs include the famous Johannesburg Zoo, Montecasino and Sandton City – Johannesburg’s premier shopping destination. The Northern suburbs of Johannesburg are also strategically situated close to the major road links, along the N1 & M1 motorways up to the border with the CBD. Purchasing property in Johannesburg also offers accessibility and convenience through the Gautrain system, which links Johannesburg North to the City, to Pretoria and Centurion together with Midrand and ORT International Airport. Johannesburg isn’t all concrete jungle as many people seem to think. It is home to some of the most naturally beautiful suburbs in South Africa. Johannesburg West or The West Rand as it is more commonly known and includes Roodepoort and Krugersdorp, is more rural than other parts of the city and contains various nature reserves. This area is ideal for those who don’t want to deal with the fast-paced life of living in the city. From a Johannesburg property perspective,the West Rand offers great value for money and is developing a name for some premier residential estates including the likes of Eagle Canyon Golf Estate, Featherbrooke and Ruimsig Country Estate. West Rand attractions here include The Walter Sisulu Botanical Gardens, The Cradle of Humankind, The Sterkfontein Caves and the impressive Magaliesburg and Witwatersburg mountain ranges. The area is also home to an abundance of nurseries and picnic areas. The Clearwater Mall is also situated in the area and boasts a host of well-known retail stores. Johannesburg East or the East Rand as it is known is where most international tourists get their first taste of South Africa. The OR Tambo Airport, located near Kempton Park is the largest commercial airport in the country. Some of the more popular residential suburbs in the East Rand include Kempton Park, Benoni, Edenvale and Bedfordview. East Rand attractions include Emperor’s Palace and Carnival City, the Rietvlei Zoo and Nature Reserve and The Wild Waters Them Park. The area is also home to Isando, South Africa’s leading industrial area. Johannesburg South property on the other side of Joburg's CBD has a unique appeal for those investing in Johannesburg real estate.The suburbs in Johannesburg South also offer excellent access to residents via the N1 and N12 motorways. Johannesburg South properties have an amazing mix of housing, from apartments, flats and townhouses for prospective first time Johannesburg real estate owners to the likes of ultra-modern hilltop mansions in the likes of Glenvista and Bassonia. Johannesburg South properties feature modern options appealing to the younger market. Residential areas such as Glenvista offer a variety of properties from standalone freehold Johannesburg houses to modern townhouse style living in secure sectional title simplexes and duplexes. Other suburbs include Mondeor, Mulbarton and Meyersdal. The Southern Part of Johannesburg is rich both in culture and history and is home to the famous South Western Township of Soweto. The area also plays host to The Apartheid Museum, the Hector Pieterson Museum and the beautiful heritage theatre, which often hosts local performers. 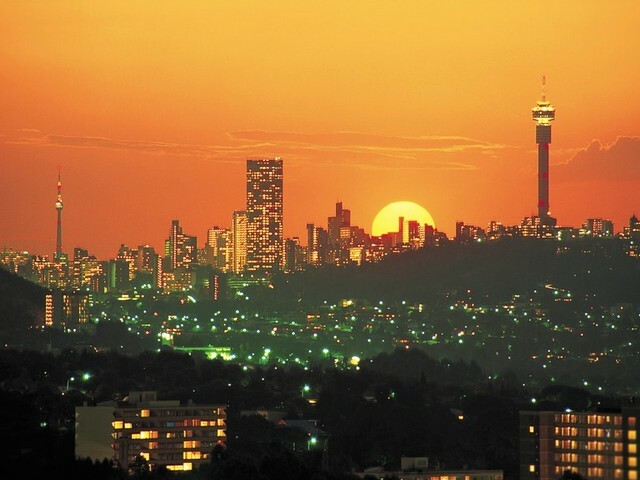 Johannesburg CBD is one of SA’s main business centres. It houses the highest concentration of skyscrapers in Africa. On the residential front many looking for greater security have moved to the Northern Suburbs, such as Sandton. However, there are significant movements to revive the area for gentrification, which attracts high-income residents. The CBD is still considered attractive for Johannesburg properties in the form of commercial and industrial investments and purchases for trade. In addition, the property rental market is a significant force here.